Be aware that this is a preventive but efficient treatment. It will not miraculously fix all misfires you are facing. It can be used on regular basis in countries with relatively poor gasoline quality. Start by replacing your fuel filter. 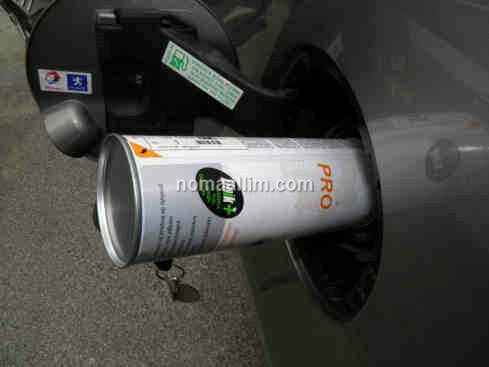 It is not advised to use such additives in a fuel circuit with a fuel filter that aged for more than 1,000Km. 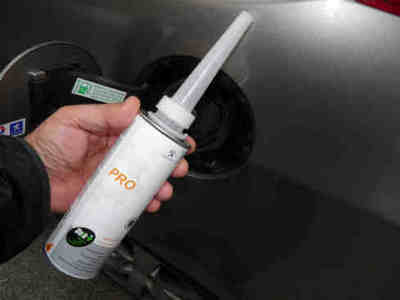 All additives are to be just poured into the gas tank prior to refilling it completely. 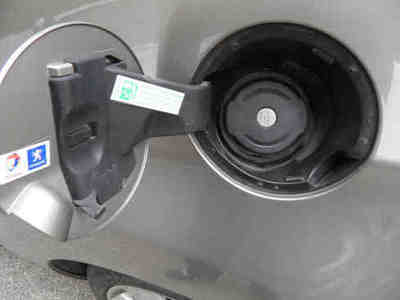 The bottle is shaped on purpose with a long neck or an adapter is supplied as shown below in a manner that its tip pushes the flap inside the gasoline filling tube. Let the liquid flow till the bottle is empty, a matter of 20 seconds. Fill your gas tank to the max and drive normally. Repeat after each fuel filter replacement meaning every 10,000Km. This product cleans the whole fuel circuit in addition to the inlet valves in indirect injection engines. Be aware however that it has no effect on the inlet valves in direct injection engines since the injection occurs downstream the valves. Visit our specific page for mechanically decarbonizing a direct injection engine for more details. A widely available injector cleaner from STP, Sonax, Wynn's,etc. costs between $7 and $11 depending on its formula. 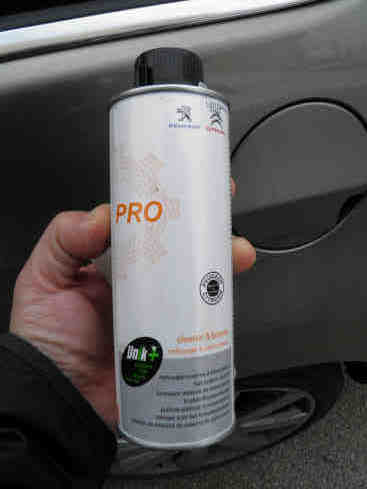 Other products are available as a spare within your car manufacturer after sales network (OEM additive) like the one pictured above and that is available as a cleaner and booster for Peugeot and Citroën vehicles. The cost in this case is in the $20-25 range.